Depression is devastating to anyone who experiences its effects. Detection is one of our most important defences to helping those who show the symptoms of depression. While we have many tools at our disposal to detect it in adults and even more mature children and teenagers, there is a gap around detection in very young children. In fact, it is only in recent years that studies have cropped up on depression in this extremely young and sensitive cohort. By very young, we are referring to children under the age of six. The societal idea of childhood being happy and carefree is sadly not the case for all children. The communication challenges in this age group can mean they slip through the cracks, growing up to be depressed or suicidal adults. 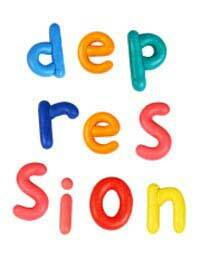 Most will agree that the longer depression persists, the more challenging it can be to treat. For this reason, early detection remains the key. Fortunately, one recent study has gathered much of the available research on depression in very young children. Then, it has communicated the findings to support better detection methods in this age group. Children and adults may both share an experience and feeling, but show it in very different ways. For instance, in a depressed adult who is unable to enjoy experiences that are usually pleasurable, they may experience a decreased libido. In a child who can’t enjoy a normally fun experience, they may show it by not enjoying their usual playtime and instead, withdrawing from the experience. Another problem with detection is that depression goes largely unnoticed by the parents. A child might not show obvious signs of sadness and if they are still functioning, a parent might assume all is well. Other parents are so busy and absent in the child’s life that the onus then goes on the school, teachers and nanny or other caregivers to detect depression. Unfortunately, they may fail to find these signs as well. In more recent years, we now have the creation of psychiatric interviews that are more appropriate to this very young age of schoolchildren. The interviews show us that preschool-age kids do show some very common symptoms of depression. They can experience feelings of guilt and sadness. They may also not show obvious sadness but can show reduced pleasure in activities that were once joyful to them. Others will show signs that an adult will experience, such as disrupted patterns of sleep and poor quality of sleep. Temporary Depressive Symptoms or Lasting? We can never know the outcome but studies thus far suggest that preschool onset depression is not just a temporary experience. Rather, it could be the early signs of a major mental health disorder. Ultimately, the preschooler grows up to be a depressed adult. Statistically, we have seen in research that a depressed preschooler has a higher likelihood of experiencing depression in their older childhood and teen years. Researchers of the newest study – who gathered all of this information on past and ongoing research – continue to stress the importance of early detection. The plasticity of the young brain is something we need to also be aware of for preschoolers. For this age, brains are still developing and they change and adapt to new experiences. In a sense, this works for us because it means that if we intervene very early on, the child has a better chance of overcoming the depression. Interventions can be very effective. While one study did suggest that SSRI antidepressants could be effective when used in school-aged children, there are many worries about side-effects. For now, most experts recommend psychological interventions for preschoolers. One newer treatment that has shown promise is based on a type of therapy that revolves around how parents and children interact. It has been somewhat modified to focus on a child’s emotional growth and how it changes. Any changes to a child’s emotional development could allow us to identify the changes and try to correct them early on, before depression becomes severe. Hopefully we can all work together within families and with professionals to detect and treat depression in very young children, helping them grow up to be happy adults.